Camp 18 Restaurant in Elsie, Oregon 97138 - Coastal Dining in Oregon! The Camp 18 dining room, with its log cabin ambiance and civilized rustic décor, offers a variety of seating options from small tables for two on up to a large dining table for a small crowd. Leave a bit of extra room – or a lot – for one of the famous Camp 18 cinnamon rolls. They make a sinfully delicious side trip to breakfast or any other meal, and when fresh from the oven, they’re almost irresistible. 2017 restaurant menu is online - please check it out here! Click here to see more holiday pictures! 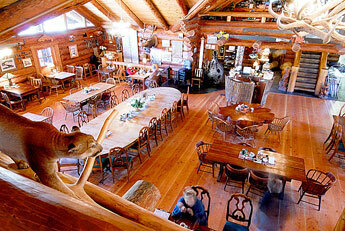 Welcome to the home page for the Camp 18 Restaurant, located in Elsie, Oregon. Camp 18 could easily be your most popular stop on your way to and from the Oregon Coast via State Highway 26 between Portland and Seaside / Cannon Beach. Camp 18 is the result of enormous efforts by Gordon Smith and the late Maurie Clark, both near-legendary figures in the northwest logging scene. Camp 18 is a log cabin-type structure built by Gordon Smith and friends. 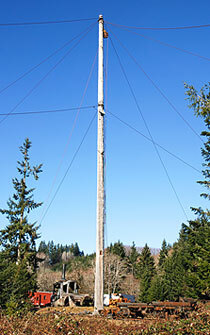 Its architecture is authentic in materials and construction techniques and features, for example, an 85-foot ridgepole that’s the largest such piece in the United States and weighs approximately 25 tons. There’s plenty of RV-size parking in the lot. Although it lacks a few small details, the almost-fully-rigged 161-foot spar tree is a signature piece on the Camp 18 equipment roster. Expect to see lots of cool wood carvings throughout the Camp 18 facilities. The eye-catching marvel is a definite place to stop while driving Highway 26 in the Pacific Northwest. If you are visiting local communities like Seaside, Astoria, Cannon Beach, Nehalem, Wheeler or Portland, it's a short and beautiful drive to Elsie! 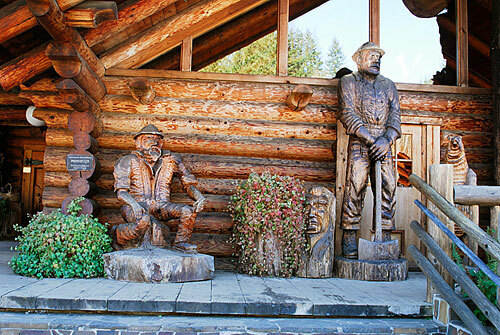 The stunning main building and its eye-catching array of logging-related historic artifacts and artwork are hard to miss as you travel the Sunset Highway (26). It’s always worth your time to stop by, enjoy a good meal, browse the displays and learn more about our northwest logging heritage. 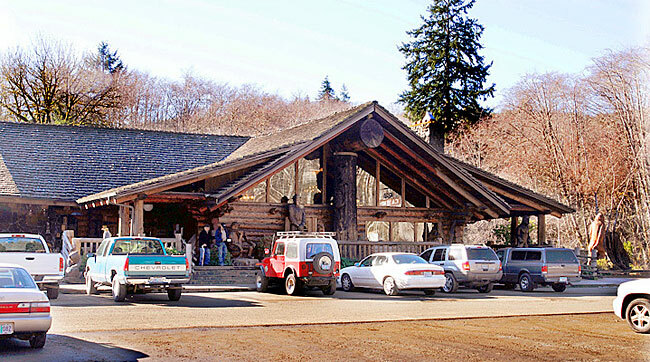 The Camp 18 log-cabin style restaurant has an interesting history you can read about. A beautiful Event & Conference room is also available for rental! If it’s a good meal you crave you can’t beat the food menu at Camp 18. To see a sample of the expansive offerings, click here. From a hearty breakfast to lunch favorites to dinner entrees that satisfy any appetite, the “logger style meals” are tasty and wholesome.